Since I last talked about our venue, Darren and I wasted no time to secure the space. We went back the following weekend for a second look and finalized our contract the same day! So, for about a month, I've been dying to share these pictures with you guys, but I was waiting for the perfect moment. The timing couldn't be better because today marks our 1 year pre-wedding anniversary. One year from today, Darren and I will officially be man & wife! Our happily ever after starts one year from today. AAH! The place you chose is beautiful! Exactly what I would have chosen as well! so exciting! 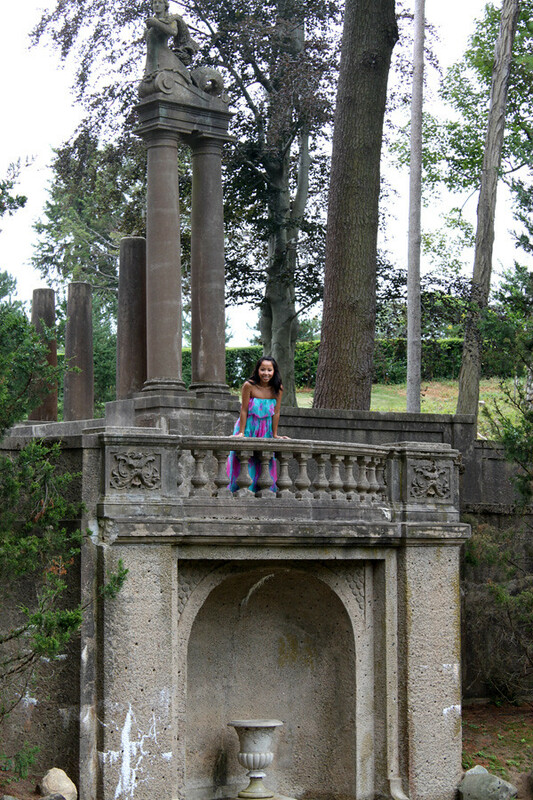 love the Crane Estate- my dad and step mom got married there 11 years ago! yay!! what a wonderful post!! i can't wait to hear more about your wedding planning and you look beautiful in the maxi here! Amazing! I cannot wait to see your pics, you are going to be a stunning bride. Khatu, I've always loved that maxi dress ever since first seeing it in pictures. 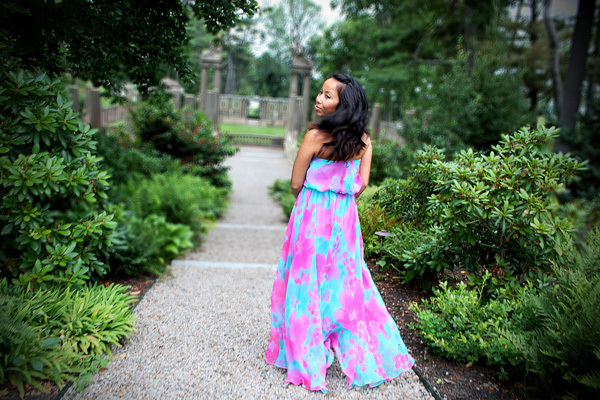 Kind of funny that you look like a princess with this maxi dress, and the blog post's title suggests a fairytale. You're certainly beautiful regardless. 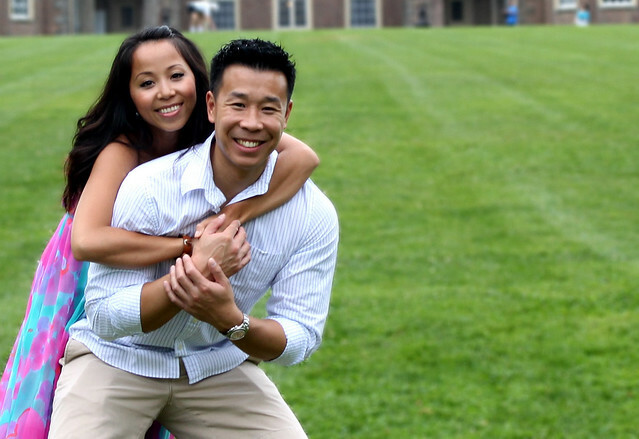 Once again, my congratulations go out to both of you on being ready to tie the knot and be happily married. 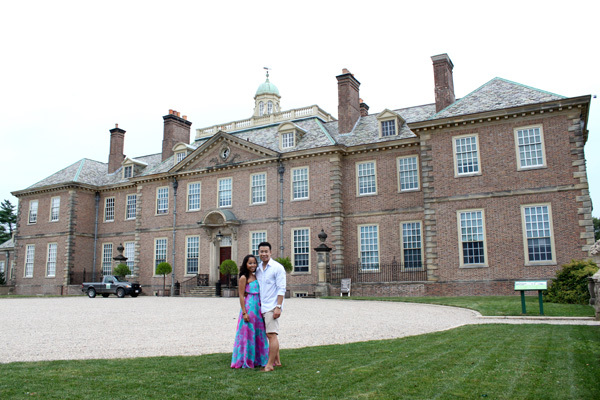 The Crane Estate looks gorgeous! I'm so happy for you! You wedding is going to be incredibly beautiful!! Khatu! WOW! These pictures are so gorgeous! Can you tell us where this is? I would love to get married there. I can totally understand why you picked this venue... The pictures are going to be AMAZING. You and your man look so happy! Congrats! This dress is beyond gorgeous... I am going to click back and see the other pictures too, because it pops so well in pictures! What adorable photos! I love, LOVE your wedding venue; it's beautiful. And you two seriously look too cute for words. Your dress is so VIVID! Hope you'll keep us updated as your wedding comes together. that is such an adorable dress!!! omg SUCH a gorgeous venue...I love it, and so many great places for beautiful photographs!! Yay! You are going to be one gorgeous bride :) You look truly beautiful in this dress! Wow that venue is breathtaking! That venue is breathtaking!! Wowwwww. Wow! That is a fantastic venue! It's going to be like a proper fairytale!! Oh wow- that venue is perfect! Your dress is so pretty too. You look amazing! These photos make me sad that our preacher had messed up and didn't bring our marriage certificate paperwork with him to our ceremony and we missed out on prime daylight hours to shoot in the gardens at our castle. Congrats, Tu. Saying yes and getting married was the best decision I ever made. you two are so adorable! i can see the love, congrats to you two! !